Our greenest juice, the lemon neutralizes the bitterness of the greens. Healthy never tasted so good! A great beginner green juice for those who want a bit of sweet with their greens. Fresh and spicy, light green with a southwestern flare. 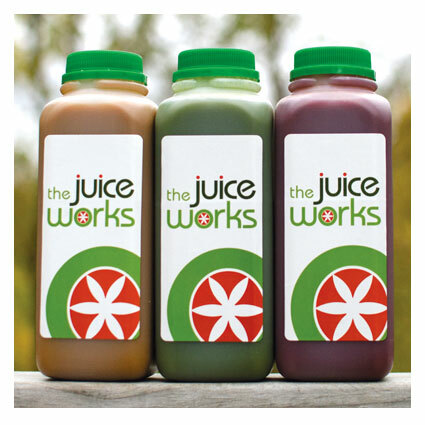 Our most popular juice, named after our friend who needed to rid her body of metal toxins, this one is addictive! A light green juice that leaves you refreshed and well hydrated. A nice medium blend of greens and herbs, dandelion greens are said to be the ultimate detoxifying green. Tastes a bit like chocolate milk. Beet juice is said to lower blood pressure, help the body respond better to exercise, and cleanse the liver. A sweet earthy flavor. A fun refreshing sugar free lemonade with a kick, AND cayenne is a metabolic booster. Sweet! 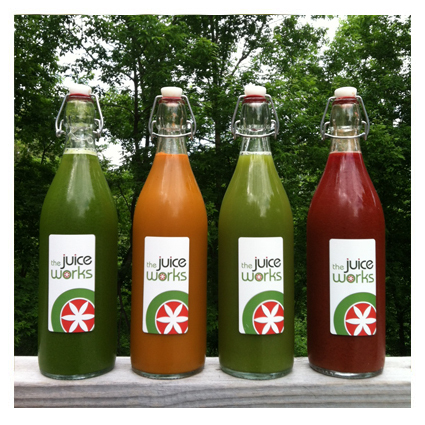 Spice up your party or event with some fresh pressed juices and add your own spirits! Our Delicate Greens, Spicy Lemonade and Raspberry Lemonades work great or custom order your own blend. Contact us for details! Interested in a Custom Juice? Feel free to email us and let us know your favorite recipe. We will let you know if we can juice it for you. Currently closed for remodeling to serve you better. Please check back soon!